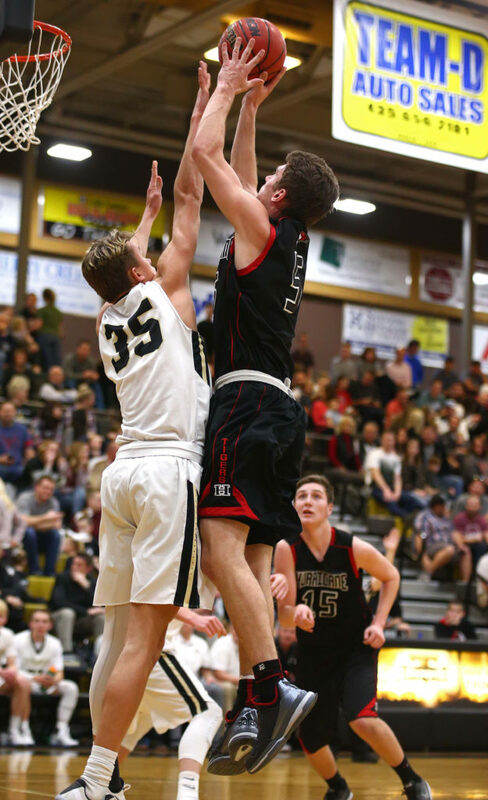 ST. GEORGE – The separation between Region 9’s top three teams and its bottom three teams was never more evident than Friday night, when Dixie, Desert Hills and Pine View all took double-digit wins to the bank. With one week (two games) left, the Flyers, Thunder and Panthers are a combined 16-0 against Cedar, Hurricane and Snow Canyon. 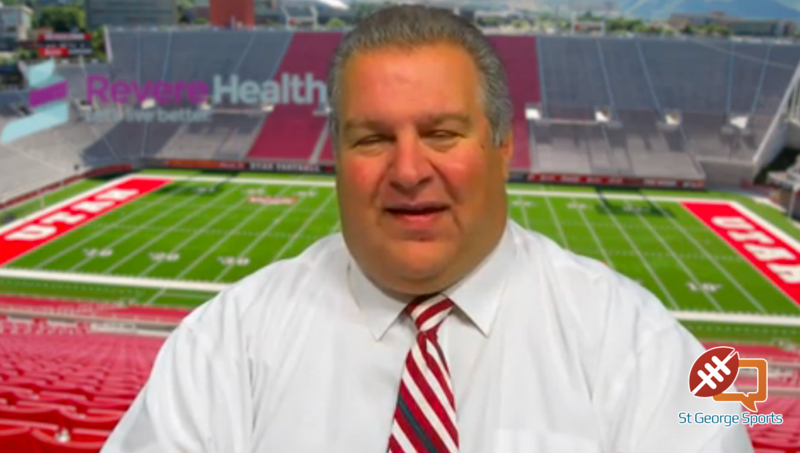 Friday’s favorites won by an average of 17.7 points. The stratification also means the top three teams have already clinched playoff spots, leaving the Redmen, Tigers and Warriors fighting to claim the final playoff spot from Region 9. Here’s a look at Friday night’s contests. 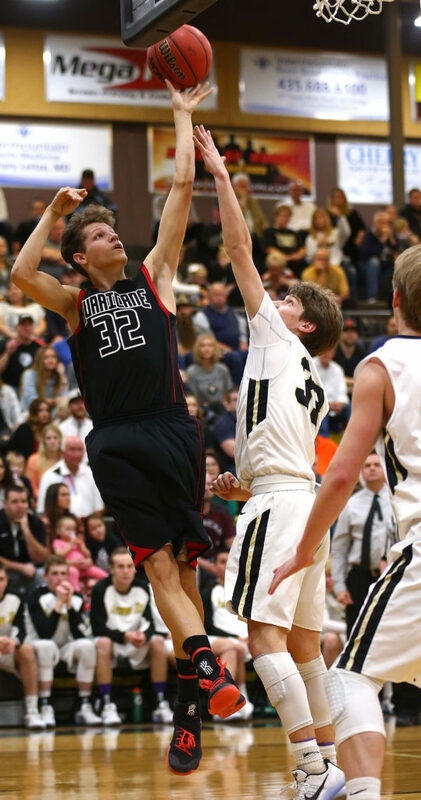 Fresh off a huge win over Dixie, the Thunder were tired and it showed early as the Tigers, behind Jackson Last and Nate Ben, forged an 11-7 lead. 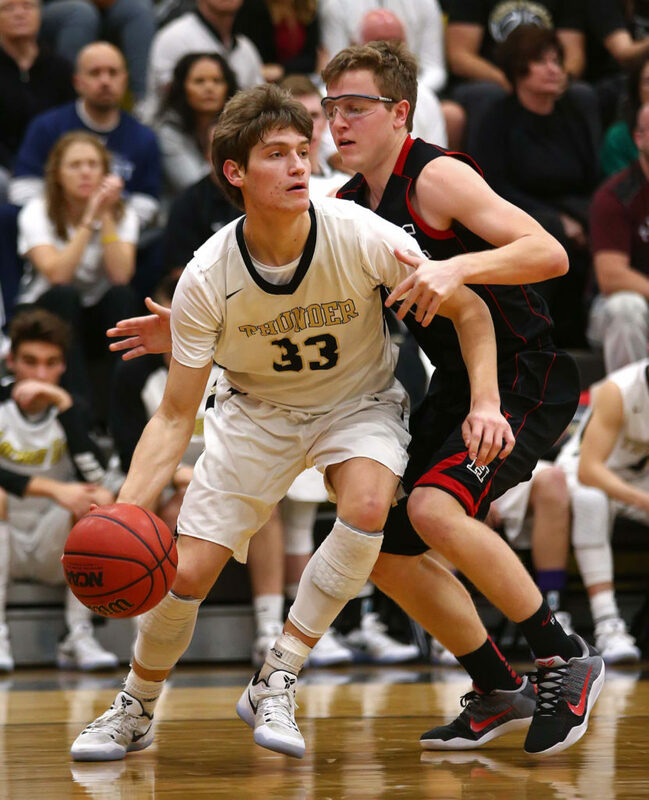 But reserve guard Trey Allred hit a 3-pointer to start the second quarter and it seemed to ignite Desert Hills. The trey by Trey made it 11-10 and began what would end up as a 17-2 run for the Thunder. After a free throw by Jacob Mathews tied the game at 11-11, Josh Parker gave Hurricane the lead momentarily with a mid-range jumper. Logan Hokanson tied it again with two free throws and Mathews gave D-Hills the lead for good with a bucket in the paint. 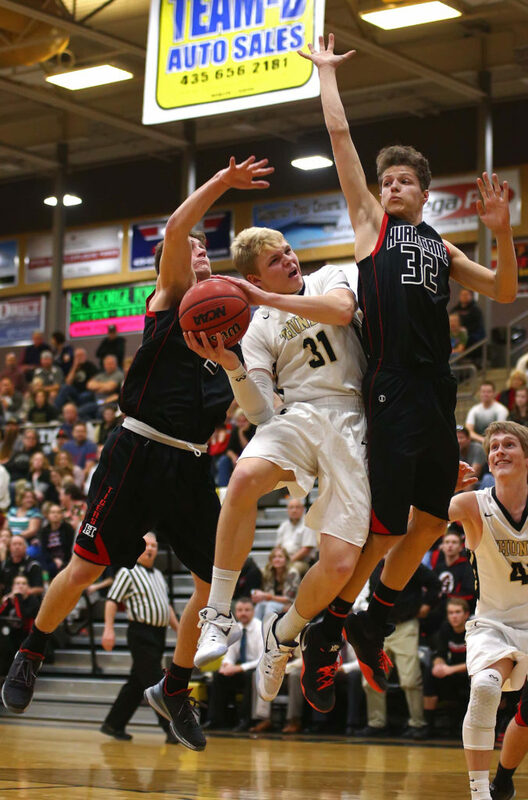 Braxton Porter made three baskets in the run as Desert Hills led 24-13 and then 26-15. Parker’s 3-pointer just before the halftime buzzer pulled Hurricane within 26-18. The first three minutes of the third quarter belonged to the Tigers as they opened on a 12-6 run to pull within 32-30. Ben and Last scored back-to-back baskets as the clock ticked under five minutes in the third to make it a two-point game. But the Thunder responded by outscoring the Tigers 14-3 the rest of the quarter, led by Braxton Porter’s seven points and Hokanson’s six. Both DH guards hit a 3-pointer in the stretch as the Thunder led 46-33 heading into the fourth. Hurricane never got closer than 11 the rest of the way. Hokanson finished with 19 points, making 8 of 10 free throws. Porter contributed 13 points, going 4 for 5 from the floor. 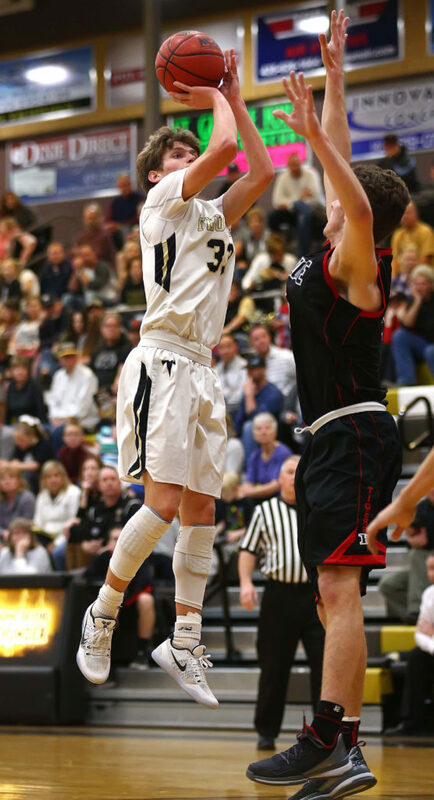 Tanner Turley had eight points, six rebounds and three steals as the Thunder improved to 17-4 overall and 7-1 in region play. DH was 19 for 25 as a team from the line. Hurricane, 12-10 and 2-6, was led by Ben, who had 12 points and nine rebounds. Last had 10 points, six boards and three steals and Parker finished with seven points and five rebounds. But the Tigers suffered a miserable shooting night, making 13 of 47 shots (28 percent) overall and only hitting 3 of 21 3-point attempts. 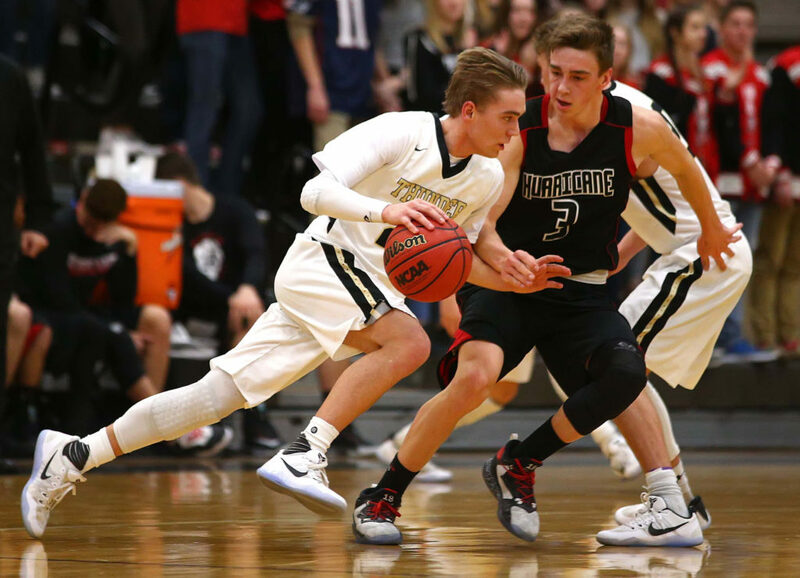 Desert Hills has one road game left next Wednesday at Snow Canyon, then closes the regular season at home against Pine View next Friday. Hurricane will try and clinch a playoff spot with two home games next week, Wednesday against Cedar and Friday vs. Snow Canyon. The Flyers did their best impersonation of a stone wall on defense in the first half, allowing the Warriors just nine points in the first two quarters, including just two in the second period. Dixie wasn’t exactly tearing it up on offense in the first half. But the Flyers hit enough shots to forge a 19-point edge at the break, 28-9. Like the first meeting between these two teams, Dixie’s big lead led to some complacency for the Flyers in the second half. Plus, the Warriors are gamers and weren’t about to cave. In fact, Snow Canyon rallied hard in the third quarter, outscoring Dixie 17-14 in the period. Kam Webster and Christian Sullivan both started hitting shots for the Warriors. Sullivan’s two 3-pointers helped SC pull to within 12 in the third quarter and Webster’s fourth-quarter 3-pointer brought SC within 11, prompting Cuff to send his five starters back into the game. Snow Canyon would get no closer, thanks mostly to some more good defense late in the game by Dixie. It was a good bounce-back win for Dixie, coming off its first loss of the season Wednesday against Desert Hills. The Elzy brothers led the way in scoring for the Flyers, with the older Kaden dropping in 15 and the younger Korbyn throwing in 12 points. Kaden made three 3-pointers, while Korbyn had one, plus a three-point play. Ty Curtis chipped in nine points and four steals. Dixie, now 20-1 overall and 7-1 in region, was able to get 11 players in the scoring column in the blowout win. The Flyers have a huge week next week with a pair of road games, including Wednesday’s top tier battle at Pine View and Friday’s contest at Cedar. Snow Canyon, 7-12 and 1-7, got 13 points from Kameron Webster and 11 from Sullivan. Leading scorer Braden Baker was held to six points. The Warriors close out the regular season with Wednesday’s home game vs. Desert Hills and Friday’s road game at Hurricane. Scoring has been tough for center Trey Farrer recently, with teams collapsing two and three (and sometimes four) defenders on him in the paint. But the Panther center is finding other ways to beat the pressure. Friday night, along with his 17 points, Farrer had 10 rebounds, four assists and two blocks as the Panthers methodically pulled away from the Redmen. 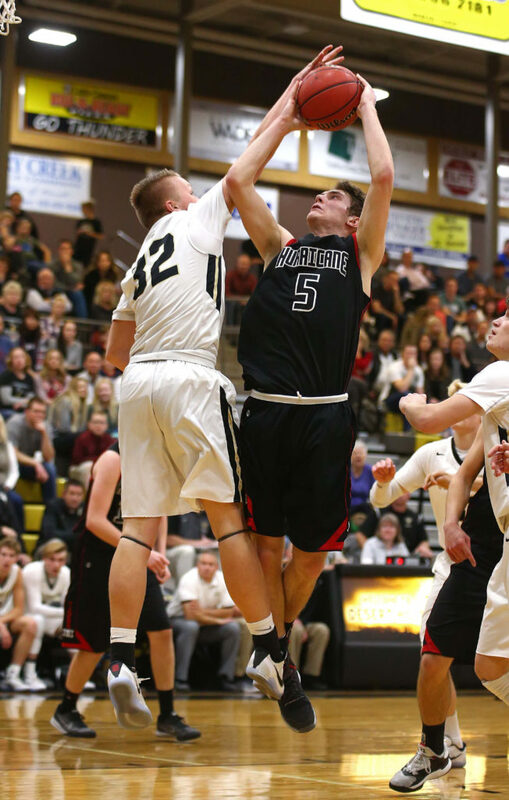 Farrer had five offensive rebounds and a couple of monster dunks in the game, while shooters Kade Moore (four 3-pointers, 15 points) and McKay Lambert (two treys, 10 points) are doing their parts to break down defenses. Pine View led 7-0 out of the gate, with Farrer scoring inside and then Moore hitting a 2 and a 3. Cedar surpassed that 7-0 run with a 9-0 run of its own to take the 9-7 lead. Ethan Boetcher and Keenan Nielson each hit a trey in the run. A Tayler Tobler trey gave PV the lead back and started the Panthers on a 9-0 run to end the first and start the second period. 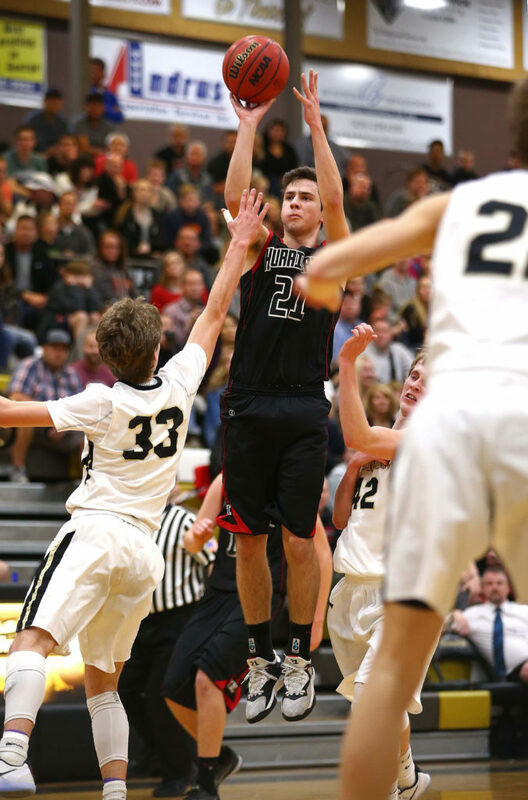 Moore made two more 3-pointers in the second quarter as Pine View was able to push the lead to 27-15 at the half. Farrer had a thunderous dunk after a baseline drive during the stretch. 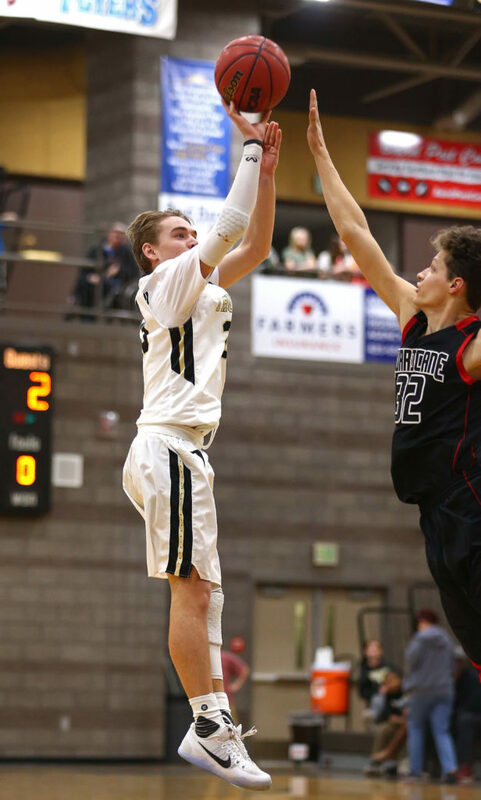 The Panthers blew the game open in the first three minutes of the third quarter with a 9-0 run, with Dylan Hendrickson, Lambert, Farrer and Kyler Vaka all scoring to make it 36-15. Parker Haynie finally stopped the bleeding for Cedar with a couple of baskets in the lane, but Cedar would not challenge again, never getting closer than 12 the rest of the game. Hendrickson finished with 11 points for PV, despite battling foul troubles. Vaka had five points and five assists as Pine View made 20 of 40 field goals, 8 of 18 3-pointers and 17 of 24 free throws. 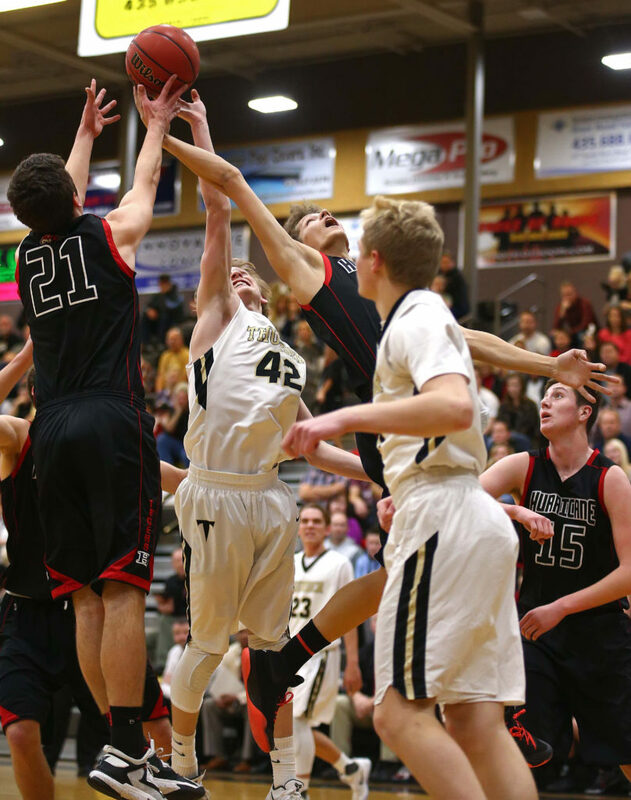 The Panthers, 16-4 overall and 6-2 in region, had just four turnovers in the game. 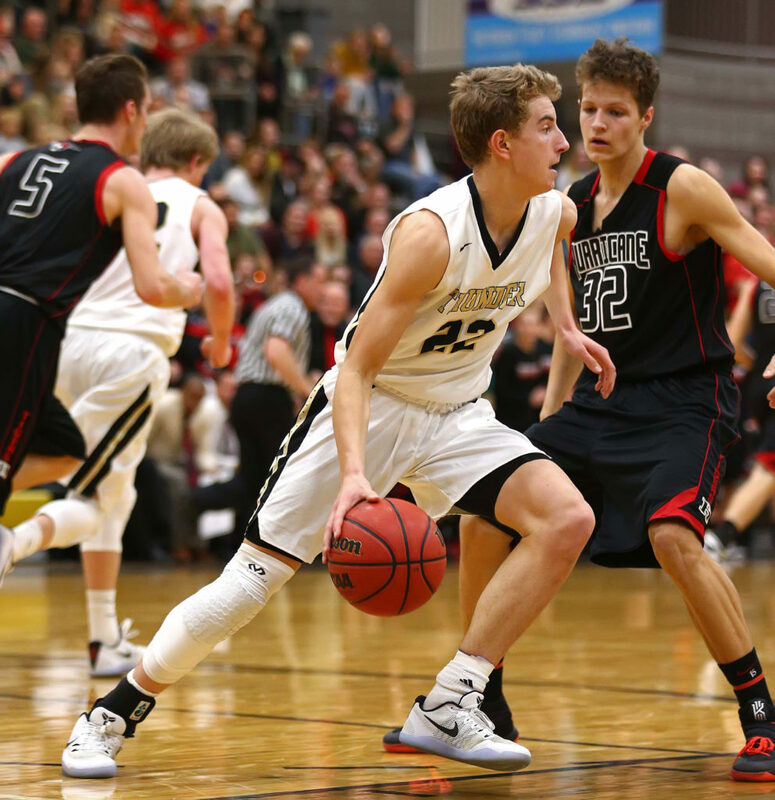 For Cedar, Nielson finished with 18 points and three assists and Haynie had 11 points and four rebounds. The Redmen made just 3 of 13 3-pointers and were outrebounded 25-20. 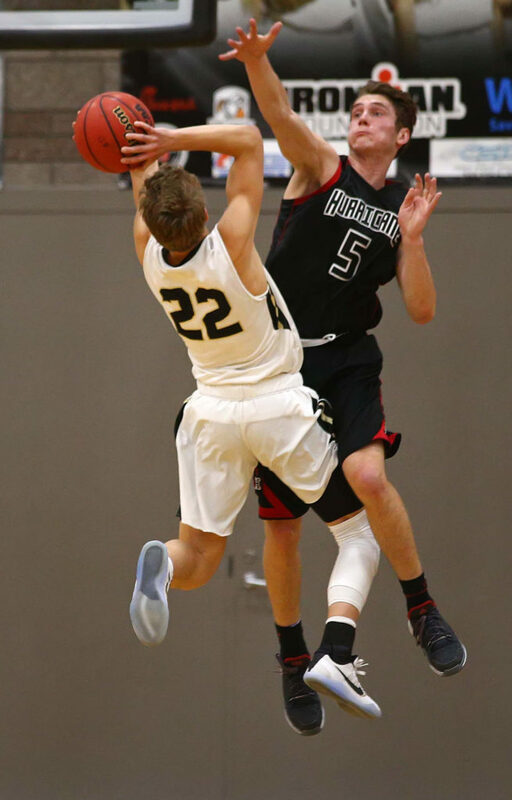 Pine View finishes regular-season play next week with a home game against Dixie Wednesday and then a road game at Desert Hills Friday. Cedar closes the regular season with a road gane at Hurricane Wednesday and then a home game to close the year against Dixie next Friday.